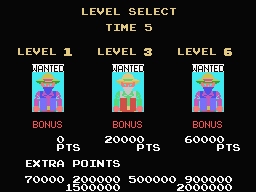 In early March 2011, Eduardo contacted me and offered me his unreleased SG-1000 and MSX ports, so that they may be published by Team Pixelboy, including his SG-1000 port of Bank Panic. 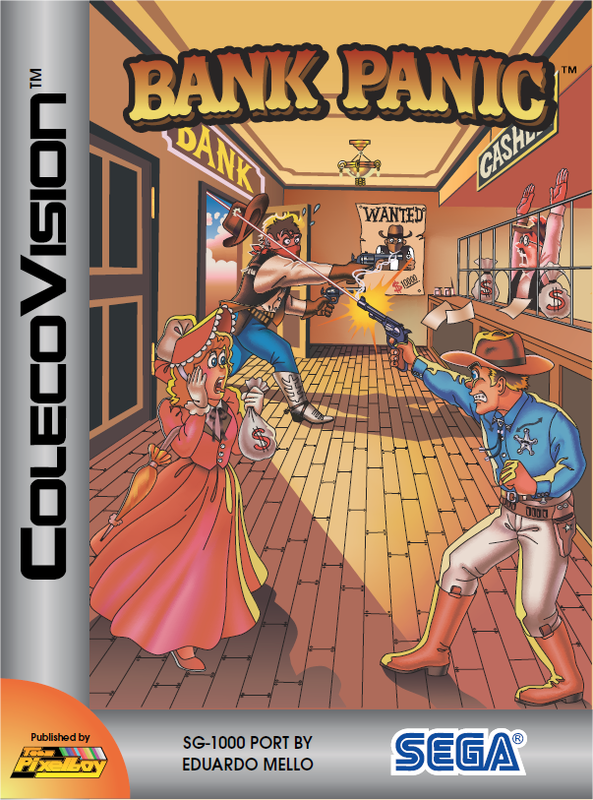 I gladly accepted, and now you can add this high-quality game to your collection! 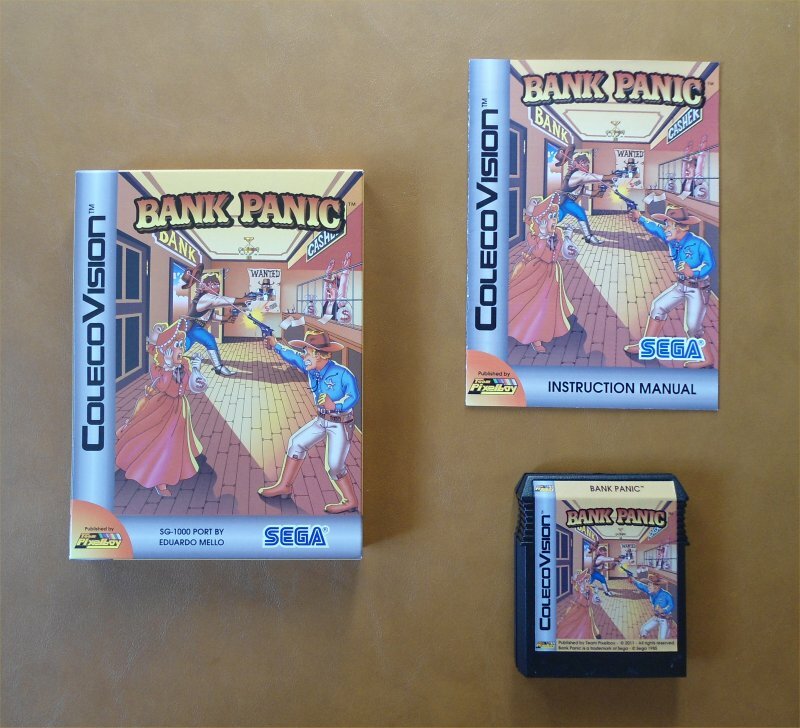 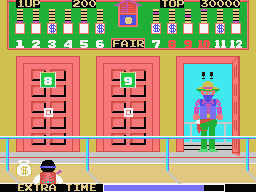 Here is a YouTube video of the ColecoVision version of Bank Panic.